I’ve been just where you are. In tears of desperation…so completely overwhelmed by decorating my house… discouraged…stuck in the unproductive wheel of comparison…I’ve listened to that little voice in my head that’s telling me your home is not Pinterest worthy…I’ve thought that maybe I should just give up and not worry about decorating my house…maybe I should just make it functional and that’s it. Why does decorating my house matter anyway? I was in this exact place shortly after we moved to Bend into a much bigger house than I was used to and it was empty. There was nothing on the walls. Months after we moved in, boxes were still unpacked. And then, my hubby looks at me one night while we’re watching TV and says “when are you going to decorate? It doesn’t feel like home here yet” and that is when it hit me. Decorating your home is so much more than buying pretty things and putting them on display. That’s when I learned that decorating your house is what makes it a home. But…it’s so much more than that! 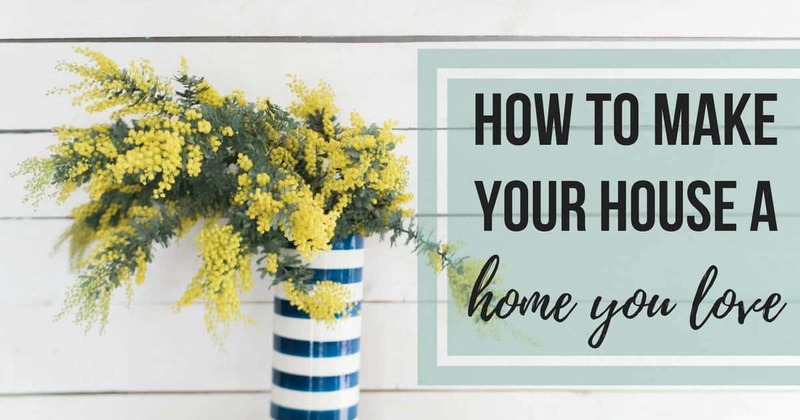 Today I am unpacking what makes a “home” and showing you how to make your house a home. When you think of decorating your house to make it feel like home, you are probably envision what it will look like. How the furniture will be arranged. What colors you will use. What you can buy for the walls. But what if I was to tell you that making your house a home is less about what it looks like and more about how it feels? To demonstrate this, I like to think of how home relates to all of our senses. Home is the ultimate place of comfort. Home is decorated with items that you love. Home is filled with elements that express your personality. Home has items handmade with love. Home shows snippets of memories through the family heirlooms, special finds from vacations and flea market finds. Home smells like bacon in the morning and cinnamon at night. Home is the perfect temperature to cuddle up with the soft blanket on the couch. Home sounds like laughter and conversation. Isn’t that the perfect description of home? How do you make a house feel like home? Now that you’ve got an understanding of what makes a house a home, you’re probably asking yourself “How can I make my house a home?”. I think this the ultimate question for homemakers. And friends, there’s no simple formula. There’s no magic piece of furniture you can buy to make your house feel like home. To make your house a home requires a shift in mindset. Before you can start even thinking about decorating your house to make it more like home, there’s a big shift in mindset that needs to take place. You’ve to got to give up that Pinterest perfection! Making your house a home is about making it YOUR home. Not the next blogger with the latest trend in her kitchen. Not what you see Joanna do on Fixer Upper. Not what you see on the cover of Better Homes and Gardens. All of those things are great for giving you inspiration and ideas, but they aren’t you! To make your house YOUR home, you need to find how what you love day in and day out (not just the latest trends). You need to determine how you want your home to feel. And you need to stop trying to make it perfect and instead, make it you. To make your house a home is a gradual process. Rome wasn’t built in a day and your house won’t become a home you love in a matter of hours. Even if you were to have one of those TV shows come and crash your room in a couple of days, all you would have is a lovely decorated room with all the bells and whistles. But remember, making your house a home is more than decor, or bells, or whistles. It’s about how it makes you feel. Infusing your personality in the decor to make your house a home will take time. If you’re having a hard time actually getting the process started of decorating, be sure to grab a copy of my free guide of how to start decorating for the overwhelmed. Learn more about the guide here. 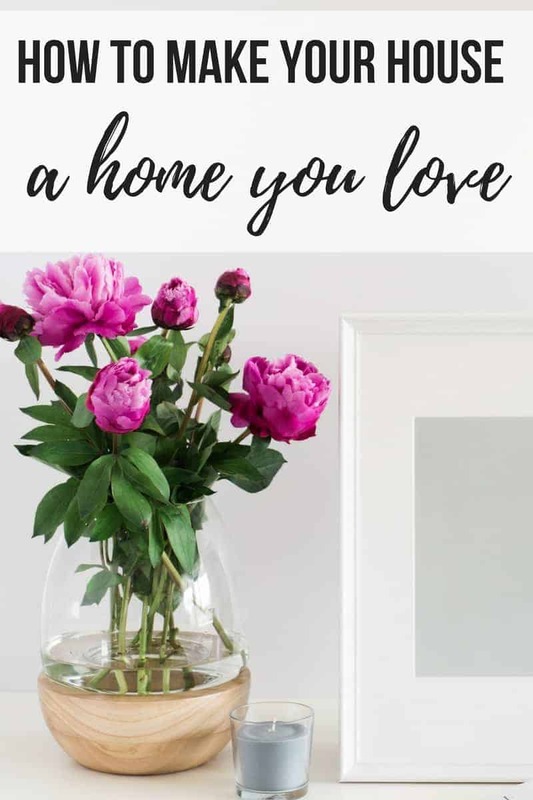 If you’re stuck and completely overwhelmed by decorating your home and stuck in the ugly wheel of comparison, it’s time to take a step back and remember what makes a house a home. It takes so much more than decor to make a home. Before you move on to decorating to make your house a home, you definitely need to have a change in mind set (get rid of that Pinterest perfection, girl!) and remember that making your house a home is a gradual process. 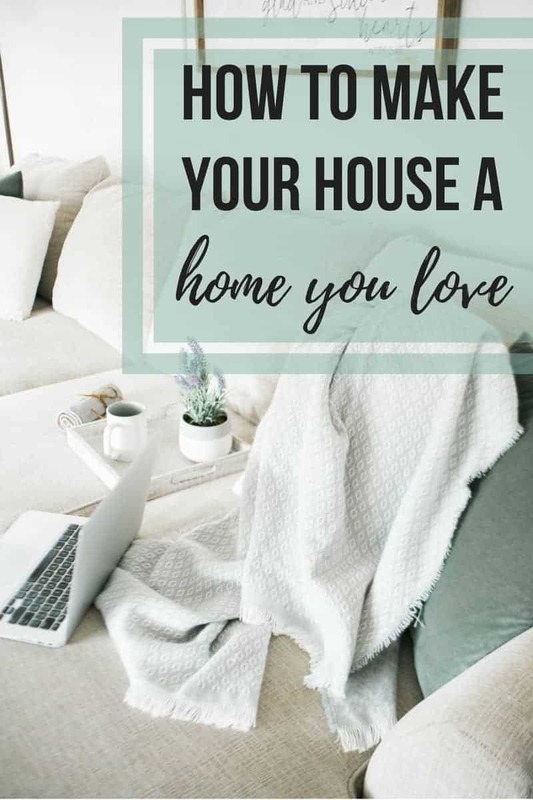 How are you going to make your house into a home?